Hostal El Cascabel : How can we get there? 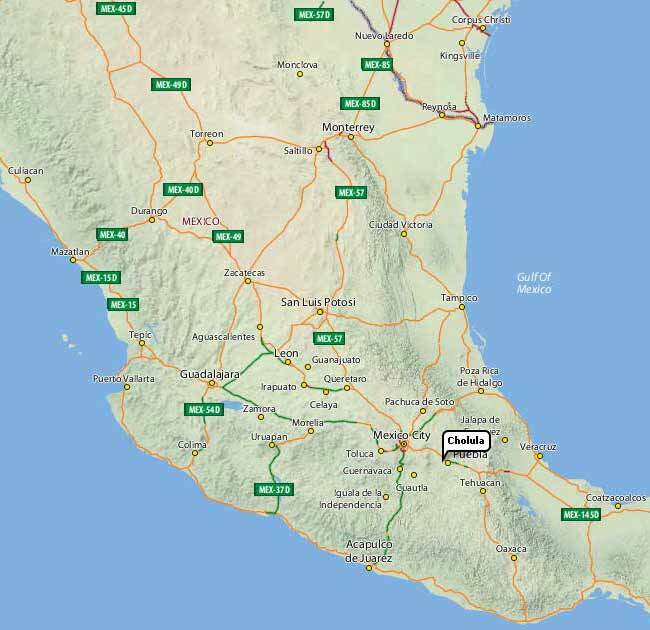 Hostal El Cascabel is at walking distance from the grand piramid of Cholula, in the San Andres quarter. Cholula is divided in two parts: San Pedro Cholula and San Andres Cholula. A regular bus connecting Cholula with Puebla stops near by. If you notifie us in advance, we�ll be glad to pick you up at the Puebla bus station (no charge). For those who prefer the bus ride: enquire for busses that leave for San Andres Cholula (the ones that pass by UDLAP) and ask the driver to drop you at the corner of 14th and 8th street. Then follow 8th street till you reach number 600 (cafeteria el Cascabel). just phone 261.66.06 and we�ll help you on your way. Our adress is: 8 Norte, number 600, San Adres Cholula.